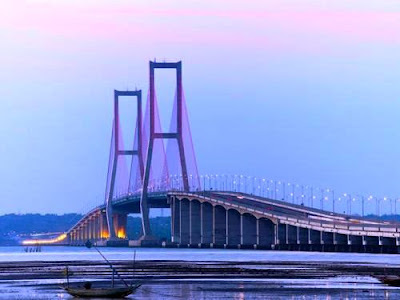 Surabaya is the capital of East Java province. Located at the mouth of the Brantas River, the city is an ideal base camp to explore the magnificent Mount Bromo, Malang the Apple City and the spellbinding "blue fire" of Ijen Crater, or admire the ancient ruins of the once powerful Majapahit kingdom. People believe that the name Surabaya is derived from the words "suro" (shark) and"boyo" (crocodile), two creatures who according to local folklore fought each other to be the strongest and most powerful animal. Others believe "Surabaya" is short for the Javanese words "sura ingbaya", meaning "bravely facing danger". It is the second most populated city in Indonesia. A modern metropolitan, industrial city, and business center in the eastern part of Java Island, and hub to East Indonesia. City life here is always vivid and exciting, with numerous choices for entertainment and culinary feasts. Splurge to a new height and experience a memorable dining in some of the most delicious food havens in Surabaya. Kahyangan means paradise. Every bit of the restaurant conveys a unique message. The architecture is a mix of traditional Javanese with Chinese influence. The restaurant serves local foods but give them attractive names, so you may want to ask your Indonesian-speaking friend to translate. Try the Bandeng Mimpi Pelesir 1001 Malam, translated as 'The Milkfish's Dream of Travelling for 1001 Nights'. The whole restaurant captures the charm of village-style cuisine to make you feel as if you are dining among locals. Don't be surprised with the jumbo sized drinks, such as jumbo iced tea and jumbo coconut drink. 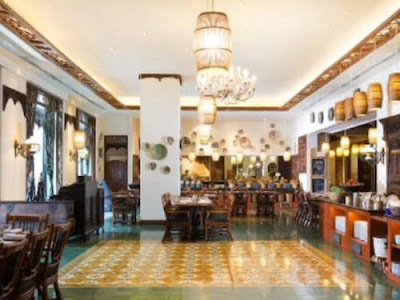 Located inside the Shangri-la Hotel, Jamoo offers an array of food ranging from Indonesian, Italian, Japanese, Chinese, Indian, to other Western menu. styles to pamper the sweet tooth among you. 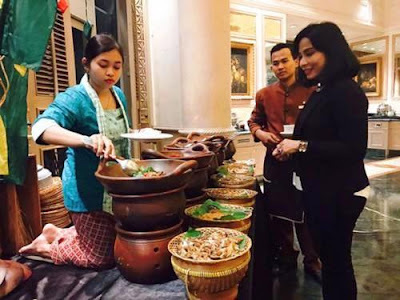 Arumanis is an excellent choice for a buffet lunch or dinner in local surrounding with a plethora of signature street foods typical to Surabaya. It has beautiful interior settings in modern Javanese style with a nice outdoor venue even for an intimate rendezvous. 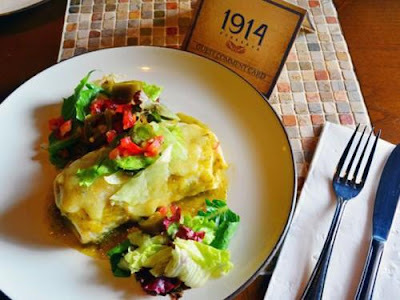 Besides the local menu, delectable international dishes are also perfectly served. Join the evening festivities at the SIti Inggil-Pasar Malemlocated nearby, as they serve plenty of scrumptious local succulents. Try the rujak cingur or 'ox-nose salad' and sip on the traditional beverage of jamu — a healthy natural herbal recipe to boost your energy. 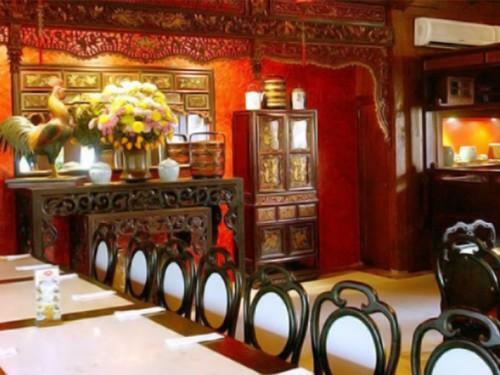 Opulence and elegance are the first words that come to mind about this restaurant. With impressive decoration inside a beautifully preserved old house, De Soematra is perfect for that private fine dining for extra special celebration, serving a delectable list of Western and Chinese food options under a romantic atmosphere of crystal chandeliers. 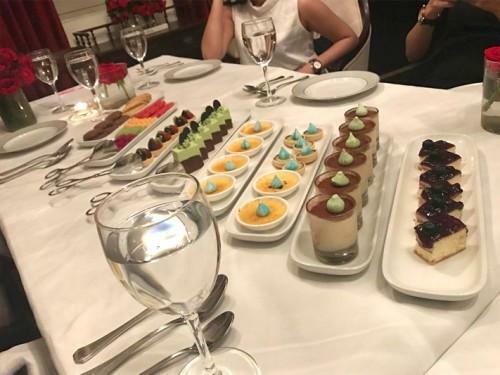 You can try the set menu that consists of Pan Fried Baby Lobster with Ratatouille, Spicy Tomato, Eggplant caviar & basil oil along with the signature dessert of De Soematra chocolate trilogy or choice of tasty bite size cakes named Petit Fours. This place is also famous for their flower arrangements, greeting you with a graceful grand welcome with fantastic choices of buds and blooms. 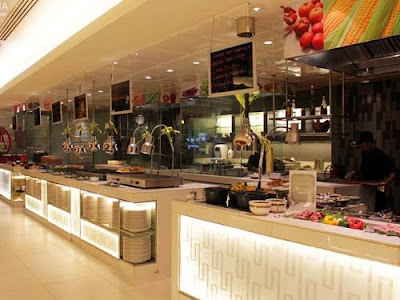 The Pavilion International Restaurant is located on the ground floor of JW Marriott hotel in Surabaya. It is an upscale all-you-can-eat venue, offering a variety of dishes from local to Asian and Western. It has an exquisite interior of colonial design style, with a round central raised area highlighted by the iconic central dome. Try sitting at the outer ring of tables so you will be more comfortable to access the food buffet. This charming old colonial building was once The French Cultural Centre. Today it is a one-stop culinary and beverage haven. 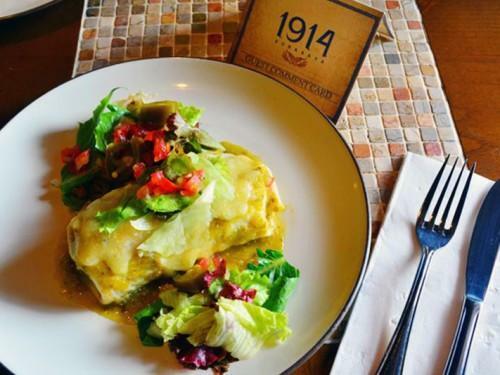 1914 features an extended list of a whisky and cigar lounge, rhum bar, wine cellar, martini bar, beer bar, steak restaurant, Japanese and Mexican restaurant. You can choose to spend an entire day in this extensive facility that comprises The Chicago Steak & Julep Bars (American), Hacienda Mexican Bars & Grill (Mexican) and the Kyodai Robatayaki & Sake Bar (Japanese). If you love lounging at the bar, this is the place to linger, with many choices such as The Consulat, Habana, Hemingway's, Garden Piazza, and Bibliotheque. A complete feast in a marvelous setting! So, are you ready to explore the wonderful choices created by Surabaya's finest master chefs? Don't forget to make reservations prior to your visit, to ensure a smooth event of your food fiesta!